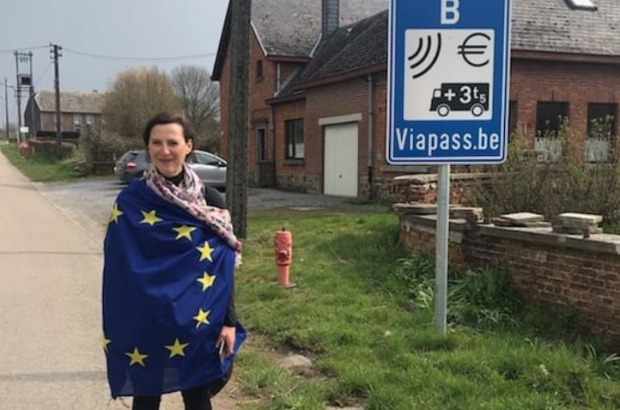 A Frenchwoman has arrived in Brussels after walking 757km to encourage people to vote in next month's European elections. Draped in an EU flag, Valérie Thatcher set off from her home in Lyon, France, just over a month ago, hoping the journey would draw attention to politics and the importance of voting. Unlike in Belgium, voting in France is not compulsory, but Thatcher wanted her peers to realise that their votes have power. The 48-year-old mother had never really hiked before, but still chose to embark on this mission ahead of the 26 May elections. She is particularly concerned about the far-right gaining in popularity. Thatcher funded the journey with her own money, recording her journey through her social media accounts. She also opened an online fundraiser for those who would like to donate. Her main goal is doing her part, no matter how small or big of a difference she makes.